Knots, A How-To Guide to Purposeful Knots, is a guide from Waterford Press that highlights 50 useful knots everyone should know. 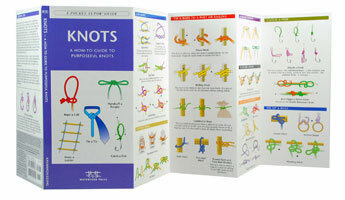 Knots is a handy guide to purposeful knots. If you need to use rope to handcuff a burglar, lasso a steer or make a ladder, this is the guide for you. 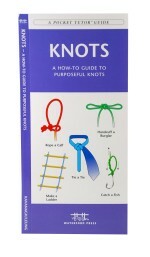 The guide highlights 50 useful knots everyone should know. Laminated for durability, this handy Pocket Naturalist Guide from Waterford Press is a great source of portable information and ideal for field use by novices and experts alike.